Garner Family "This Ends Today"
Tragedy is never easy to understand or make sense of. It is especially difficult to come to terms with when your tragedy is thrust onto the national conversation about the fragile state of race relations and the growing epidemic of police brutality. For the family of Eric Garner, they’ve managed to harness their heartbreak and loss into a vehicle to make a change for the better. In honor of Eric, and through the Garner Way Foundation, they have released the new song and video “This Ends Today,” which tackles these topics with a straightforward and personal approach. 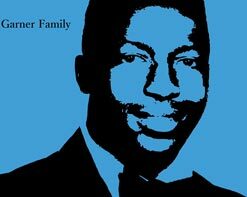 On July 17, 2014 Eric Garner, 43 years old and father of 4 children, was put into a choke-hold by a New York City police officer where he was forced to the ground with the choke-hold still applied around his neck. Eric shouted “I Can’t Breathe” eleven times, but his cries were not heeded and succumbed to his injuries. “I Can’t Breathe” was adopted as a nationwide mantra to bring attention to the alarming rise in overly aggressive policing tactics, with everyone from Lebron James to Russell Simmons and millions of others showing their support. As a way to keep their cause in front of the audience the family has come together to release an album, titled I Can’t Breathe, as not only a way to raise proceeds for the Garner Way Foundation, but also as something of a personal catharsis to express the words and emotions they’ve bottled up in a musical way. The new video for “This Ends Today” is led by Garner’s sister Erica, as she begins the song singing with passion and conviction about her father. The chorus repeats throughout and it is as powerful each time. The verses are covered by Steven Flagg and he raps a more straightforward recollection of the events on the fateful day, calling out the police officers and their application of an illegal chokehold, as well as the subsequent grand jury decision not to pursue charges. Footage of the infamous incident are shown throughout the video, each time becoming progressively more difficult to watch. But the message stays on point and successfully spreads the message that the people are fed up with a broken system and it is time for a change. We are very pleased and honored to be working with the Garner Family to help spread the word on their continuing cause. Please contact Andy Gesner at HIP Video Promo at (732)-613-1779 or e-mail info@HIPVideoPromo.com.